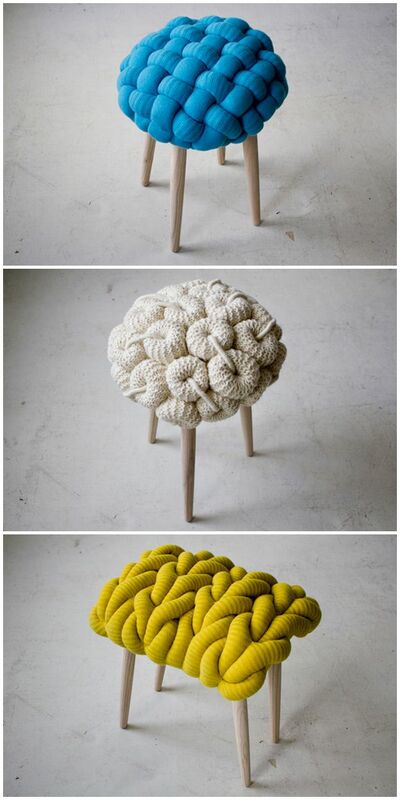 These chunky knit designs will create a very plush stool to sit on. We love the bight primary colours contrasted with simple wooden legs in a natural finish. 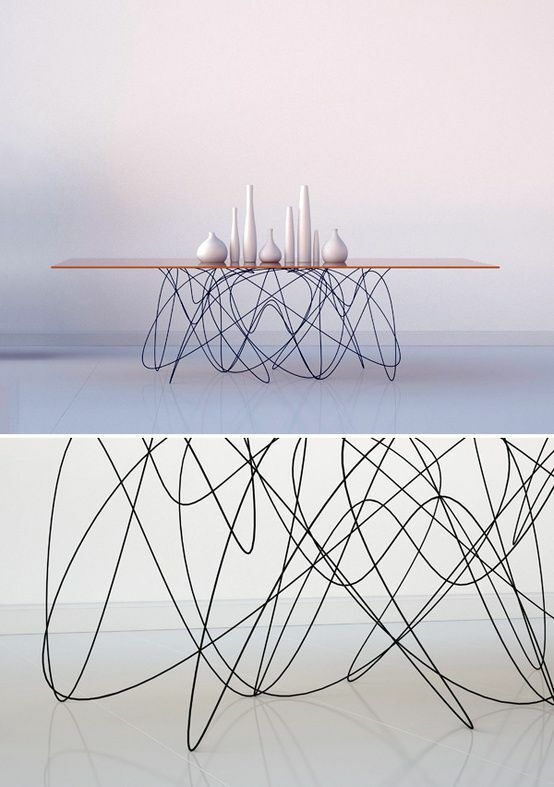 This organic shaped wire creates a very pretty base for this table, making it the centre piece of any dining room. 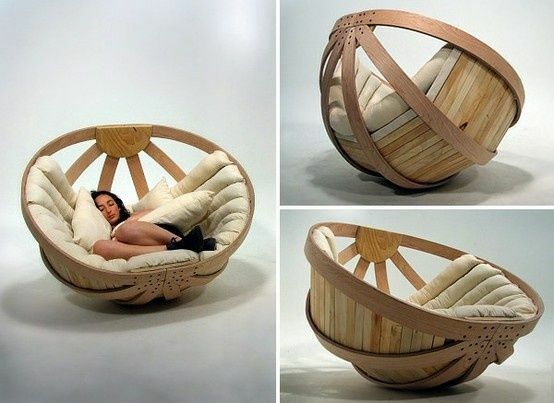 These wooden semi-circular seats look very comfortable, although we can’t help thinking they might not the easiest to get up from! 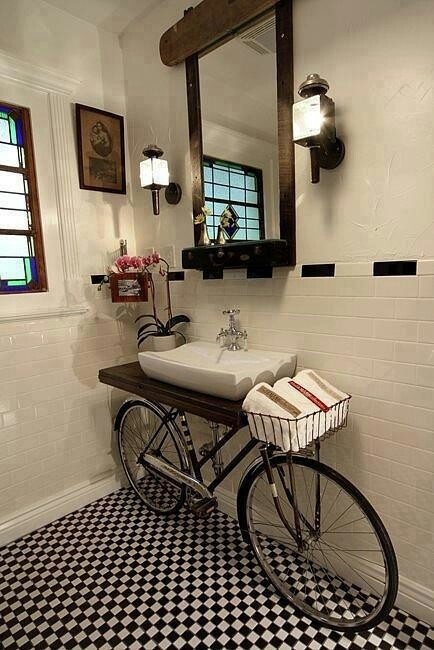 This vanity area is a great way to use an old bike that would otherwise go to the tip. The monochrome colour scheme, soft lighting, flowers and artwork gives this look a slight Parisian theme. 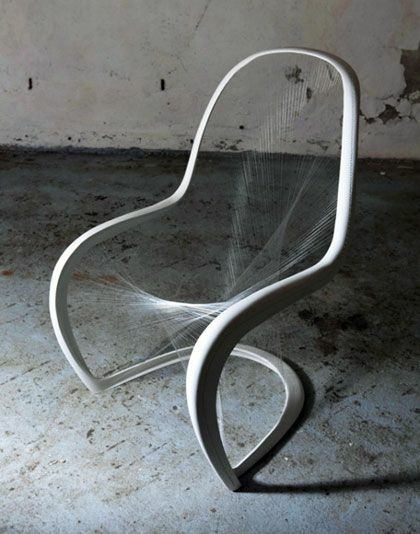 From looking at sites such as Pinterest it’s easy to get your creativity flowing and hopefully inspire you to look for other interesting and unique furniture designs!